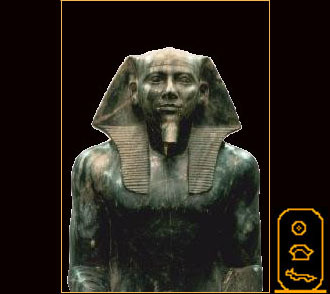 of the pharaoh "Khafre" because of the cartouche carved into its base. a visible earthly connection with the presence and higher intelligence of Osiris. When you look up, know I am theresun and moonpouring my love around you. Excerpted from "Awakening Osiris: The Egyptian Book of the Dead" ©1988 Normandi Ellis, trans. © 2001 R.McKenty . All rights reserved.